It’s fun to walk along the beach and pick up the shells that have washed ashore. 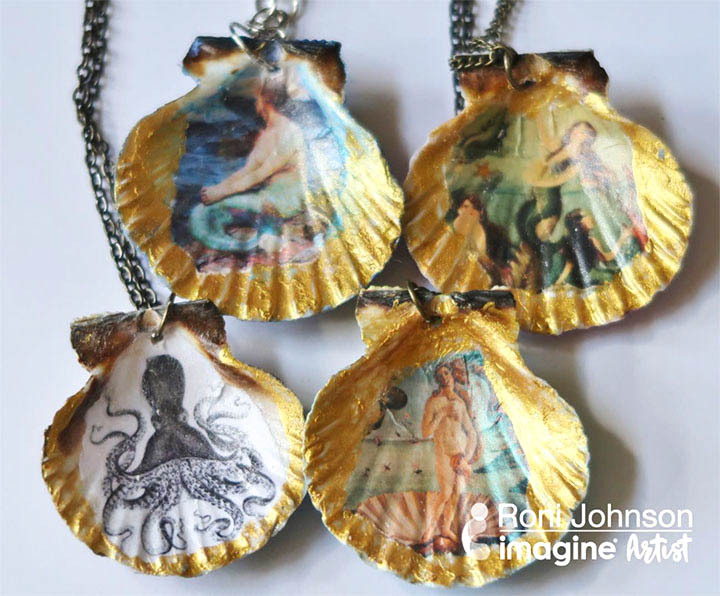 It’s even more fun to take those shells and create a lovely piece of jewelry to hold those fond summer memories for months and years to come. Wash and dry shells to prepare them for the project. 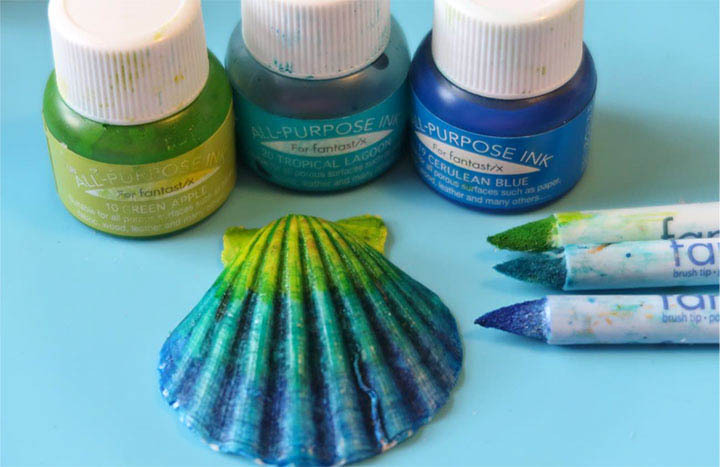 Dip a Fantastix into the ink and “paint” it onto the shell. 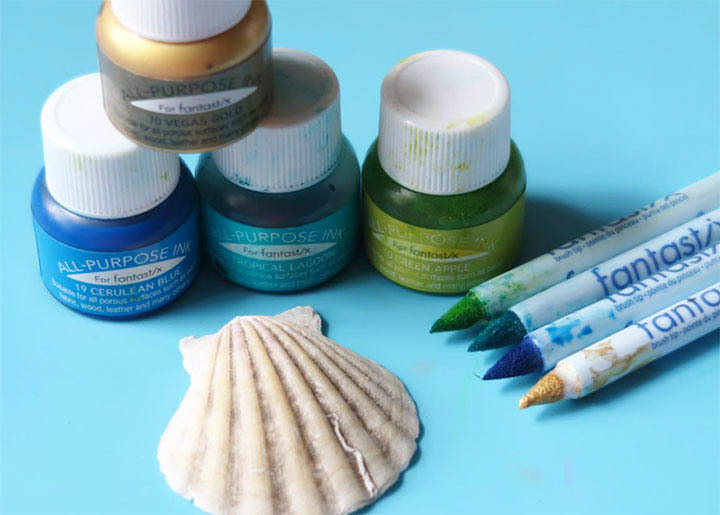 Continue painting the shell with the desired color of All Purpose Inks. Let the ink dry naturally or speed drying using a heat tool. Print desired images on copy or lightweight paper using an ink jet printer. 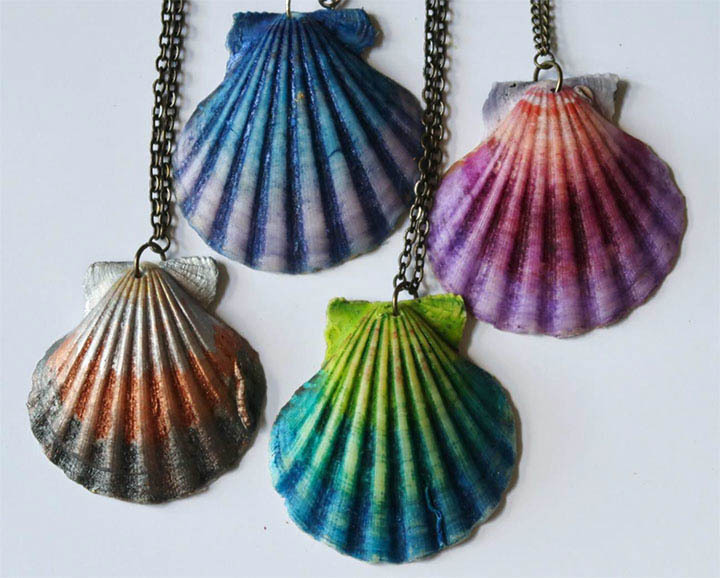 I choose ocean themes to match the shells. 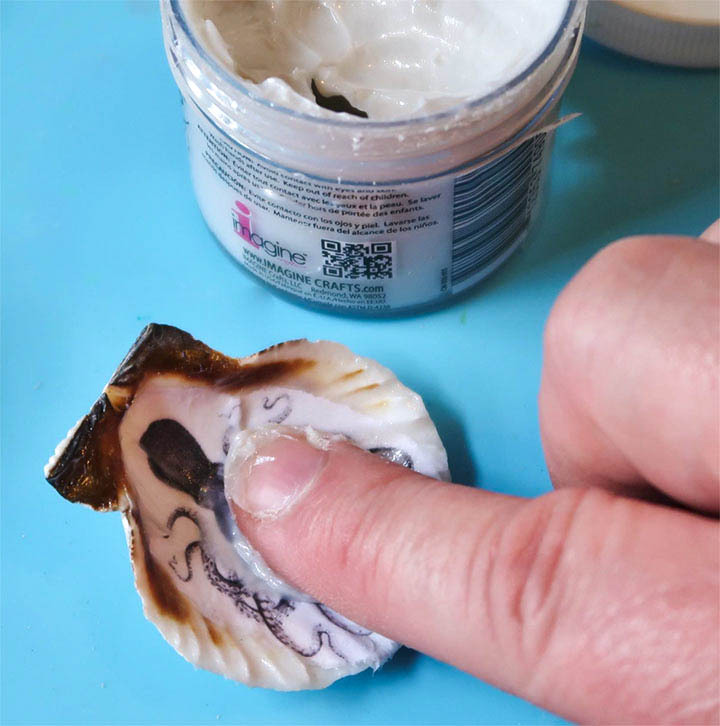 Tear away the excess paper so the image fits into the center of the shell. 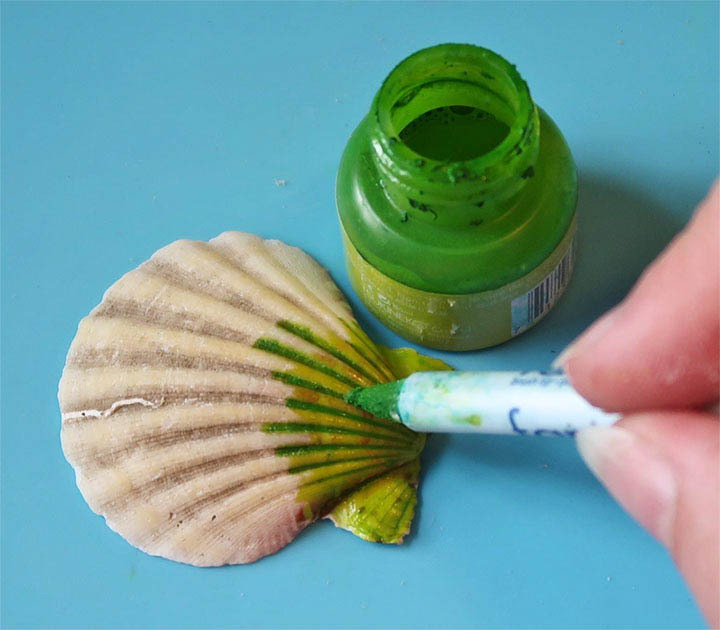 Use your finger to spread a thin layer of Clear, Shimmer or Iridescent Creative Medium on the interior of the shell. Immediately press the image into the shell. 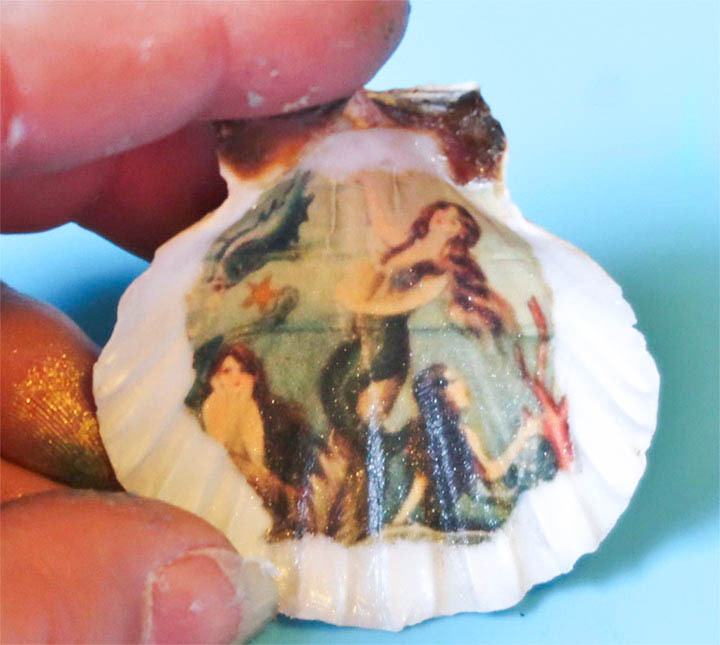 Apply a layer of Creative Medium over the image pressing the image down into the grooves of the shell as you go. 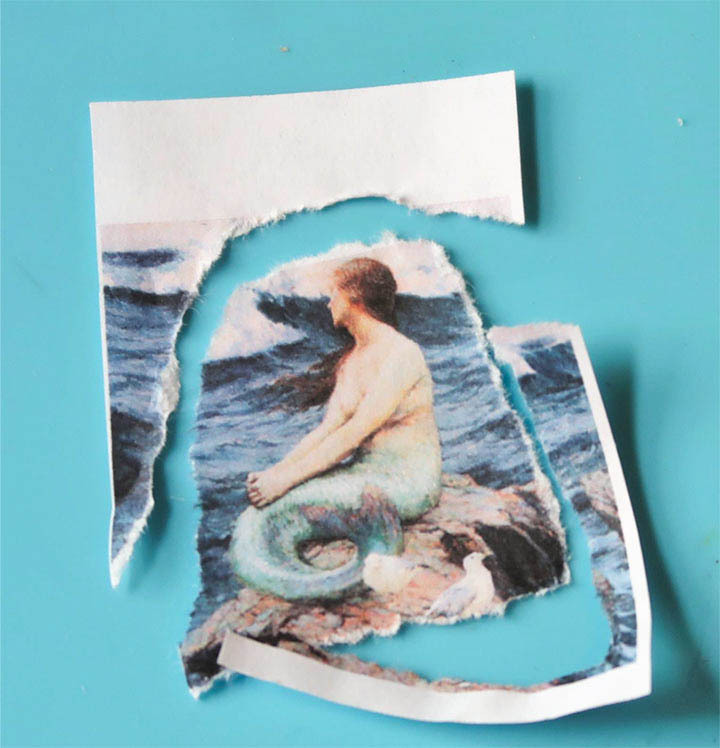 Apply a second layer of Creative Medium over the image to ensure that it has been sealed and set aside to dry. 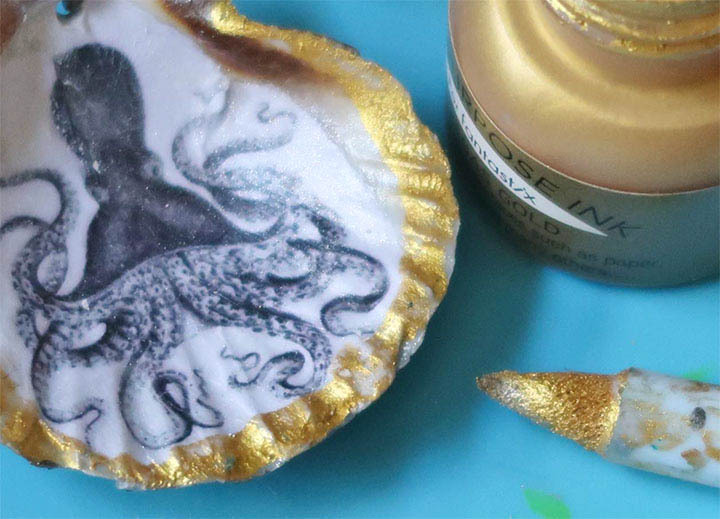 Use a Fantastix to apply All Purpose Ink in Vegas Gold around the edge of the shell and image. Let it dry naturally. This could take several hours depending on temps/humidity. Use a 5/64th drill bit in a Dremel set on the lowest speed to drill a hole in the top of the shell. 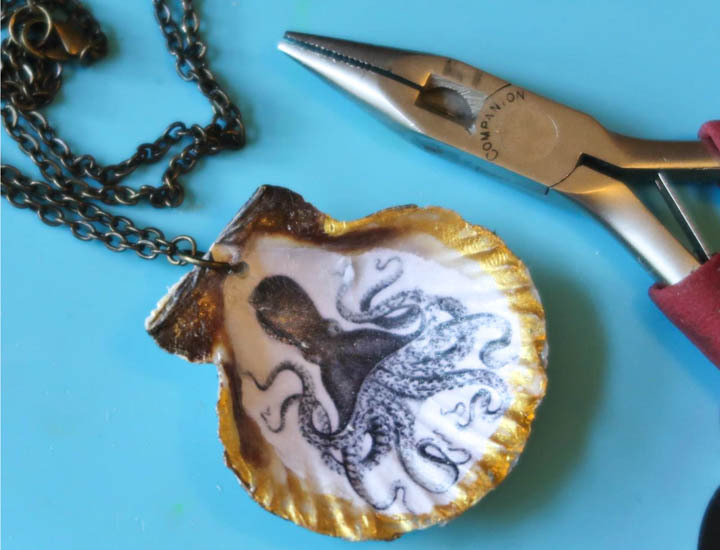 Use jewelry pliers to add a jump ring and chain. Add any additional embellishments to make it your own design!